Copyright © 2012 Organic Products Company. All rights reserved. “I have a 67-acre sod farm where we grow 419 Bermuda. My harvesting period averages between 120 to 140 days, which allows for two harvests per year, and my scrap rate runs about 15%. I applied TurfPro product on a 13 acre plot at a rate of .6 gallons per acre during the first week of May. We continued to apply fertilizer and water following our standard program. Fourteen days later we pulled test samples from the treated and non-treated plots. The results were overwhelming. 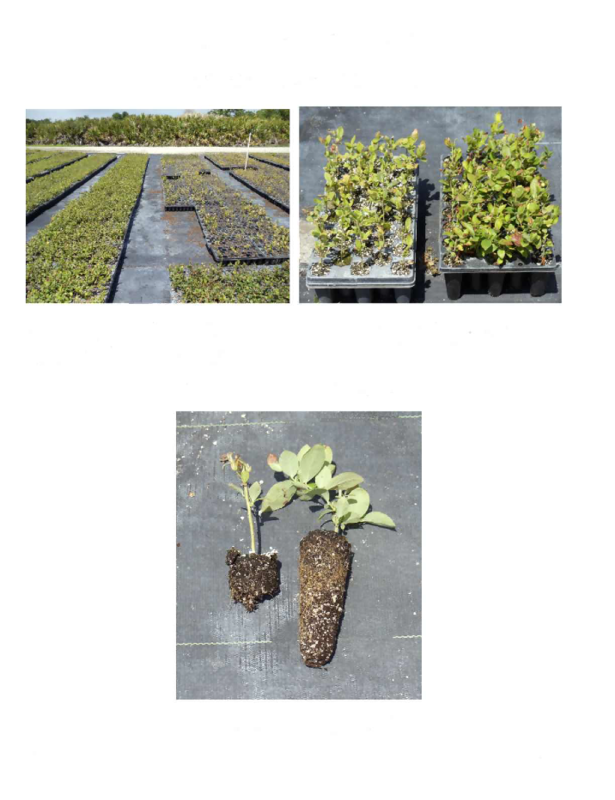 The root system development on the treated sample was dramatically improved over the non-treated sample. The treated sample also was much healthier and stronger than the non-treated sample. We immediately ordered enough product to treat our entire farm except for one control plot. The application was completed by the first week in June. We pulled samples again 30 days after initial treatment and again the impact the TurfPro product had on the root system was astonishing. There was a dramatic increase in new root growth. Based on the finding from this initial application, we expected to reduce our harvest period from 120-14- days down to 90 days. This would enable us to get one additional harvest per season from our operation. We were also seeing a significant reduction in bare spots, which would greatly reduce our cull rate. In early September we ordered more product and treated for a second time. It is now the last week of October, and we just finished harvesting our third crop of this season. Our scrap rate is down to about 2-3%. Bottom line, we generated an additional $378,000 in sales and saved an estimated $100,000 in scrap this season by using the TurfPro product. TurfPro USA, now a division of Organic Products Company is offering both liquid and dry soil amendments that meet USDA requirements for organic growing. Our 100% organic soil amendments are the only one presently on the market that carries the US EPA “Design for the Environment” seal. Our deposit of Humates has never been hardened so the only processing we have to do is screen out any surface debris making our soil amendments some of the greenest on the market. TurfPro USA products has never been hardened into coal or shale rocks which means the natural beneficial soil biology is still alive and available for work in your soil. 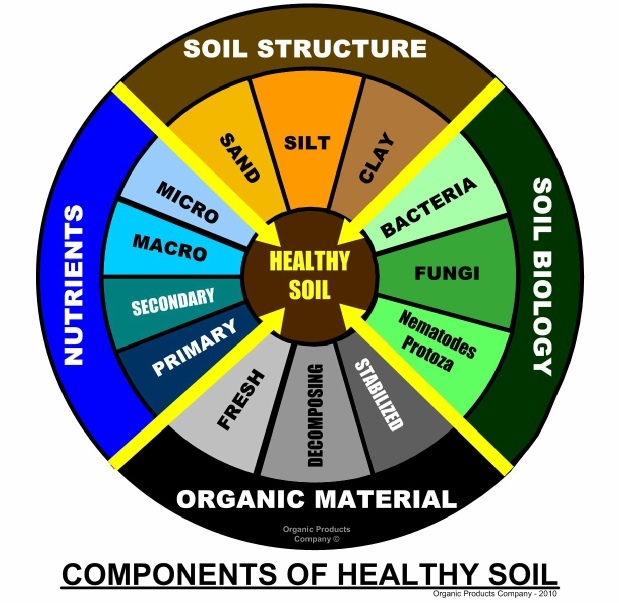 Unlike many products that provide beneficial soil biology ours provide all of the food needed by this soil biology while in storage and while it is acclimating to your soil or potting mix. Shelf life on our product is 2 years under normal storage conditions. Our Humate’s contains lignin, a complex chemical compound found as an integral part of the secondary cell wall of many plants. It provides increase cation exchange capacity to soil, increases the soils ability to hold moisture. The TurfPro USA deposit was formed before the Wisconsin Ice Age for a mixture of marine life and vegetation which give is a very complete complement of trace elements without any of the problems of industrial pollutants and heavy metal contamination facing us with modern day products. Turfpro USA dry and liquid soil amendments are all 100% organic with a very low carbon footprint. Our products are verified organic to meet USA, Canadian, Japanese and European standards. Dade City Florida- On 8/27/10 TurfPro was used as a root drench when planting the row on the right. Squash ready to harvest on 9/15/10 two weeks ahead of control plants on the left. 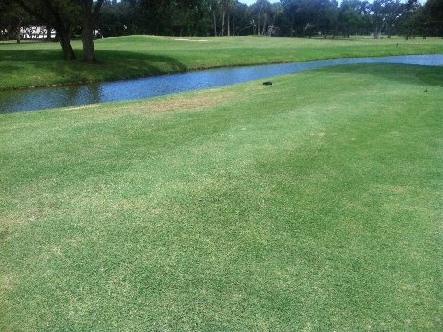 survival rate with TurfPro over 90% without Less than 60%. 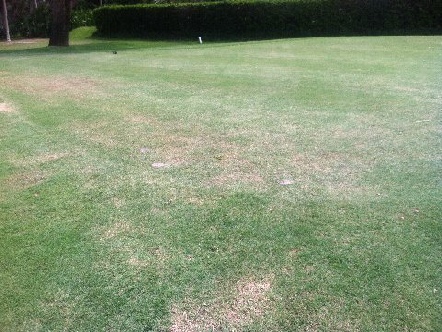 Only difference in the two is TurfPro was used on the one on the right. What are the effects on plants, soil and the environment of synthetic versus organic fertilizers? Fillers, water solubility, nutrient availability, reduced disease resistance, environmental damage, reduced soil carbon levels and reduced nutritional value of food crops. are all factors related to the use of synthetic fertilizers. A standard synthetic fertilizer like 15-5-10 has 15% nitrogen, 5% phosphorus and 10% potassium. This adds up to only 30%, so what is the other 70%? Filler! This filler can be most anything and in some cases, toxic substances that can be harmful to the environment and once applied to food crops these materials can enter our food. An EPA study on the accumulation of heavy metals in soils treated with synthetic fertilizer found increased levels of cadmium, lead, arsenic, mercury, copper and zinc.1 Without this filler the soluble nitrogen rate would be so high that it would burn both plants and soil biology. With organic fertilizer all of the material in the bag is organic and will furnish many of the other elements that plants need and will help the process of building organic material in your soil to support beneficial soil biology. The N-P-K in synthetic fertilizer is very water-soluble so it can act very rapidly for plant growth. This sudden increase in growth is not desirable because it causes plants to grow with weak cell walls making the plants susceptible to insects and reduces disease resistance.2 This works out nicely for the manufacturers since they sell more insecticide, fungicides and other chemical poisons to offset the damage. 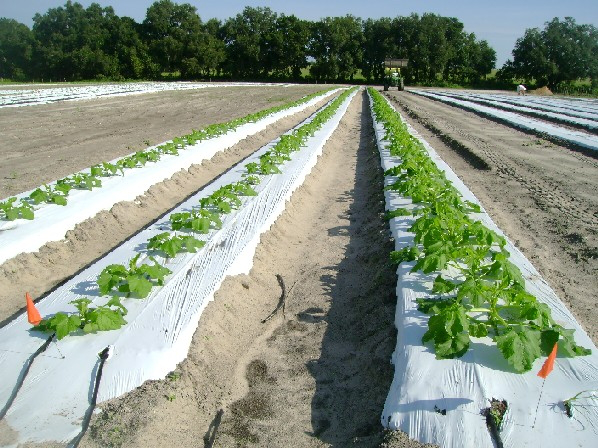 Studies have shown that up to 36% of the synthetic derived nitrogen applied to the soil will become environmental pollutants in the ground water.3 While organic fertilizers reduce the amount of nitrogen that is leached through the soil and ends up in the ground water.4 Synthetic fertilizer also have excessive amounts of salt that reduce the water holding capacity of the soil, reduces the plant roots ability to absorb water and will kill many types of beneficial soil biology. With organic fertilizer the N-P-K are in a more stable form and will not burn plants or harm the beneficial soil biology. Most synthetic fertilizers use triple super phosphate, which is made by treating rock phosphate with phosphoric acid. It is not in a form plants can use so if not converted by soil biology, it leaches out and becomes an environmental pollutant. Phosphate also locks up many of the trace elements plants need reducing the overall nutrient availability. The phosphate in organic fertilizers is in a plant available form that binds to other organic matter and does not readily wash through and become a pollutant. Our 100% organic Turfpro USA and AgriPro products add organic carbon to the soil as well as many types of beneficial soil biology and most needed trace elements. They help build the water holding capacity of the soil while opening the soil up to allow air to plant roots and soil biology. All of our products carry the US EPA “Design for the Environment” seal. 1 “BACKGROUND REPORT ON FERTILIZER USE, CONTAMINANTS AND REGULATION”, EPA, 1999. Want to add fresh greens and fantastic fresh tastes to your off season cooking? MicroGreens are the way to go! Microgreens are young edible greens produced from the seeds of vegetables, herbs or other plants. Unlike sprouts which are grown in water and you consume the roots, microgreens are grown in soil and you consume the new tender leaves. They have more developed flavor, color and texture than sprouts. Microgreens have great flavor even at their small size, though not as strong as mature greens and herbs. A microgreen consists of a central stem having two fully developed cotyledon leaves (the leaves that first show on a plant), and usually one pair of the plant's true leaves. They can range in size from 1" in height for some lettuce to the extremely tiny leaves of mint. An average size and leaf configuration for a microgreen such as basil is about 1-1 1/2" in height, having the cotyledon leaves and one set of small true leaves. They are easy to grow indoors in any weather, take up very little space and in most cases you can start harvesting in 10 to 15 days depending on what you decide to grow. The short growth span makes it possible to produce microgreens on the darkest winter windowsill. Those of you with no experience can easily grow microgreens because the plants only need to be kept alive for a few weeks and most of the growing needs are within the seed. Don’t worry if they grow a little leggy in the process, it does not hurt the flavor. We recommend using organic growing techniques. 1. A container (can be most any material) that is at least 4 inches deep with or without drainage holes in the bottom. Size will depend on how much you plan to grow. 2. A tray that is bigger than the container, if you are using one with drainage, so it will contain any water overflow. We like to use small rocks or in it to hold the bottom of the tray up for good drainage. 3. A flat, smooth piece of wood of other material that will fit into the container so you can press the potting mix flat. 4. Natural unbleached paper towels or coffee filters. 5. A spray bottle with a misting type head, this can be the small cup size if you are growing just a single container. 6. A clear piece of plastic a little larger than the container to put on top to give the seeds a micro greenhouse atmosphere. 7. A bag of organic potting mix. Many garden centers now carry organic products. 8. We prefer organic seeds that we get online from seed companies like Johnny Seeds, but you can get regular seeds for most garden centers. 9. A small container to put the seeds in for soaking. 10. Turf & Garden Pro to mix with water for soaking seeds for faster and better germination. Fill your container with your organic potting mix. Take the block of wood or other material you have selected and press the soil down to where it is level and firm but not too tightly packed. Spread you seeds evenly as possible on top of the potting mixtures surface. If you are using very small seeds it helps to mix them with a small amount of sand so the will spread more evenly. Take your spray bottle and mix 1 teaspoon of Turf & Garden Pro for every cup of water. Spray the surface of the potting mixture so it is just moist. The Turf & Garden Pro speeds germination and give the seeds needed nutrient and beneficial soil biology for stronger growth. The water you use does make a difference. We collect and use rainwater but any good clean water is OK. If you are using city water that is chlorinated put is in an open container overnight so the chlorine will dissipate. It may take a couple times to get the right amount of seeds for the container you are using. You can get too many so do not completely cover the surface with seeds. Next cover the inside of the container evenly with the unbleached paper towels or coffee filters so it lays flat on top of the potting soil. Use the spray bottle to wet the paper towels until are they are moist. Place the clear plastic cover over the container to create your mini-greenhouse. Mist the paper towels daily till the seeds geminate always putting the clear plastic back in place. After the seeds have sprouted into the two-leaf stage, carefully remove the paper towel and remove the cover so they get plenty of light and air. Keep the potting mix moist using the Turf & Garden Pro mix you have in your spray bottle. We have used the leaves from the two-leaf stage up to five or six, and have found them very tasty and high in nutrients. This is a great way to have fresh greens for salads and cooking year around. There are a number of sites with information about all of the greens that you can grow and the different taste effects you can come up with in your cooking. If you need further information write me at jloepp@turfprousa.com . Picture below shows grass just 14 days after the application of TurfPro.